We all want to be Babe Ruth (at least a little), who despite no longer holding the home run record, is still thought of as The Home Run King. 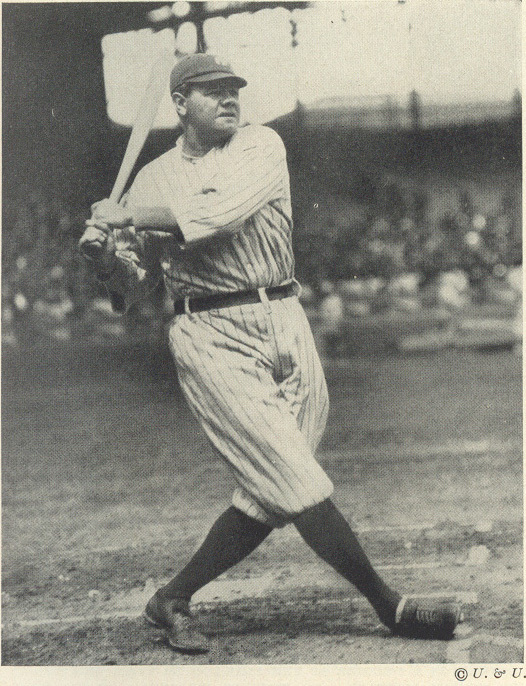 Babe hit 714 home runs and struck out 1,330 times. Babe did the least productive thing possible in baseball (striking out) almost two times more than he did the most productive thing (hitting a home run). Babe is the basis for the life lesson that it's okay to strike out, because if you risk striking out, you can hit home runs and people will only remember you for the home run. While this is a lesson that I teach my son - it's not only okay to risk failure, it's absolutely necessary - it's one that is causing businesses today a tremendous amount of harm. Here's the thing people tend not to talk about Babe. His career batting average was .342. Only 9 people have a better career batting average than Babe, and his on-base average (the percentage of time a player gets a hit, a walk or gets hit by a pitch) is the 2nd best all-time. While Babe was a prolific home run hitter - he was, simply, a great hitter. To continue my baseball metaphor, business success is not about hitting home runs - its about getting on base consistently. If you learn to hit well, and get on base, you'll win baseball games. Win enough games and you'll win championships - and championships are what people really remember. If we could just hire a marketing executive who can come in a create a "home run" campaign. We just need to get that sales superstar who can "knock it out of the park." We just need to land that big "home run" account. We just need to design that new "home run" product. What they all have in common is that disproportionate resources, and lots of disruption, are allocated to low probability events (Babe, one of the best, hit a home run less 7% of the time). Because so much was invested, businesses are forced to stick with their approach, even when they begin to know that's it's not working. When it doesn't work, they literally have to start over. The Home Run strategy makes for a great press release, but unfortunately, it rarely leads long-term business success. So, if you want to pursue The Home Run, go right ahead. I'll take the walks, the single and the doubles - my home runs will come in time. And I'll have championships pennants in the form of delighted, loyal clients, and sustainable profits to show for it.